Oh my goodness I loved this book so much that I just want to jump up and down waving my hands and tell everyone to go buy this book now! It has been awhile since I have read such a fantastic love-to-hate-you romance and this one was fabulous! Let’s start with Dean Harper…..he is a control freak! He doesn’t like to be questioned, he thinks he knows everything and he believes he always knows what’s best when it comes to his businesses. He is very self assured and would never back down from a good fight. In walks Lily Black….she is a mouthy, tell it like it is kind of girl and very strong willed when she believes she is right about something. She is also very good at her job and she is certainly not intimidated what so ever by Dean Harper. While these two were at each other throats for most of the book the sexual tension was just building and building and I couldn’t wait for it to explode and did it ever!! I totally adored everything about this story. The characters were super funny and had me laughing out loud for most of the book. Their banter with one another was absolutely perfect and very witty! This was most definitely a feel good, happy read! 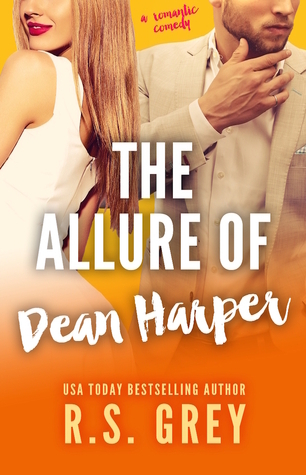 The phrase “there is a thin line between love and hate” has never been more true than in The Allure of Dean Harper. Fantastic book! !